After our first post about plans with the family in Ibiza we now suggest a new batch of tips to enjoy with your kids. Five tips that include from one of the most beautiful beaches of Ibiza to one of the most entertaining visits for both, children and adults. This acuatic activity is a real funny plan for families with children over 8 years old as it allows parents and children to share this practice. Several enterprises offer classes and outings of paddle surf around the isle. If you get by Sant Antoni area you can book with Sup Boat Ibiza. With its own ship you can practice this sport in the calmest and beautiful corners of the Western coast of Ibiza. The Buddha room and the Waterfall Hall are the most spectacular sites of this karst cavity of 8,500 square metres of surface. During the guided stroll of 35 minutes you can admire the beautiful stalactites and stalagmites, columns and vaults. The tour around the inner of the cavity takes 35 minutes and is not necessary to book before the visit. Can Marça is placed at the North of Ibiza, close to Port Sant Miquel. It is placed in the inner part of Ibiza in Sant Llorenç de Baláfia, this cute restaurant is simply perfect to enjoy with the family. The restaurant serves delicious specialities coming from all around the Mediterranean sea, the garden is fresh and pleasant and it has an special children´s play area. Our recommendation: Do not forget to taste its suculent hummus and keep in mind to savour its desserts, simply delicious! It is placed at the western coast of Ibiza, few kilometres from Sant Antoni de Portmany, Cala Salada and its sister Little cove Cala Saladeta, both make one of the most beautiful coastal joints of the isle. 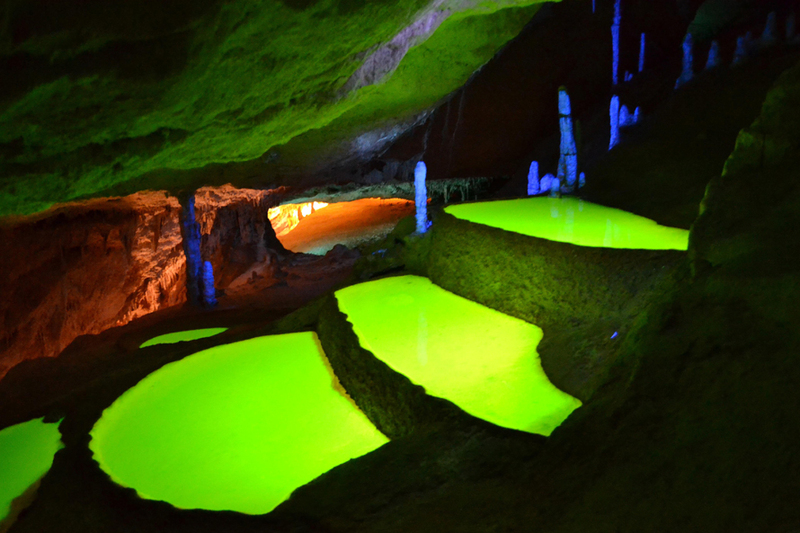 Beside their natural beauty, both coves are really safe for children as they are almost natural pools. 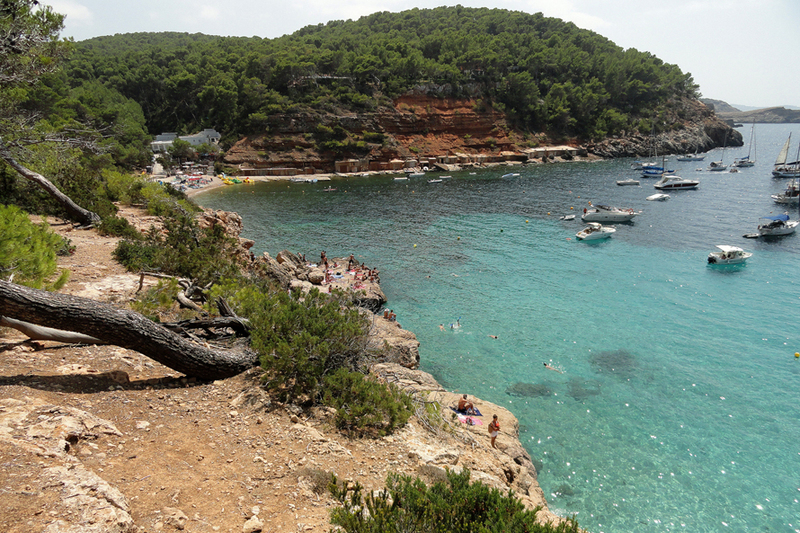 To get to Cala Saladeta you must take a road starting from the right angle of Cala Salada. You can get to the beach by bus (there is a bus service between Cala Salada and Sant Antoni) or by boat thanks to our maritim route Sant Antoni - Cala Salada. Cala Salada view from the path to Cala Saladeta. Foto: J.G. Finally, despite is not an activity to develop in Ibiza, we recommend you to enjoy a funny day in Formentera, having a bath in Illetes beach, one of the most spectacular sandy areas of the world or in the calm waters of Cala Saona. Here in Ulises Cat we offer several return routes to our beautiful sister isle. Find out about time tables and rates and discover Formentera “en famille”.